There are a few items needed in every wardrobe and a striped sweater is one of them. 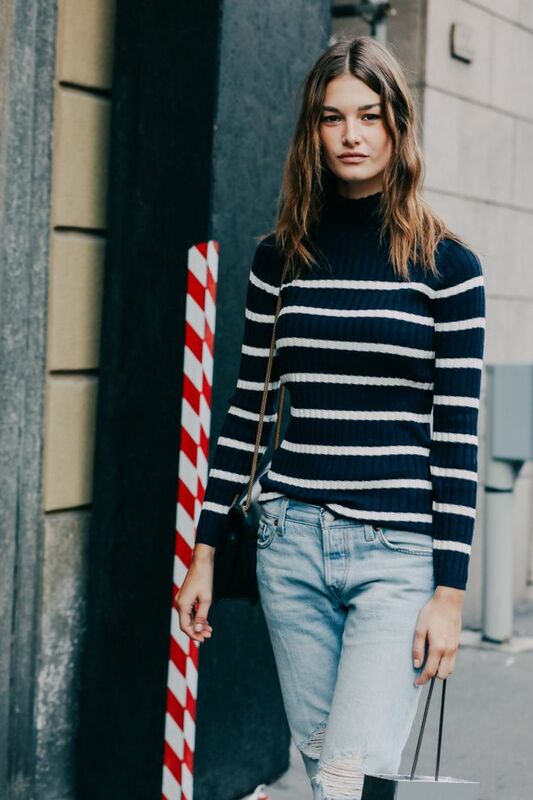 Model Ophelie Guillermand is the epitome of casual cool in her navy and cream striped turtleneck sweater and distressed boyfriend jeans. Her perfectly undone waves go hand in hand with this no-fuss look.